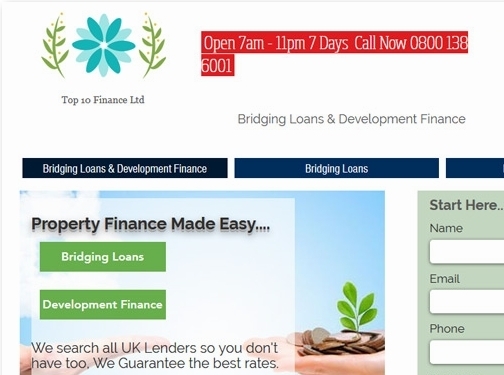 Top 10 Finance is a premier broker for Bridging Loans and Development Finance. They pride themselves on their excellent reputation in the industry for our professionalism and their ability to get deals over the line when other brokers might not. Bridging Loans & Development Finance are both specialist areas of finance and need a specialist broker to understand your situation and what is available for your needs, this is where Top 10 Finance can help.